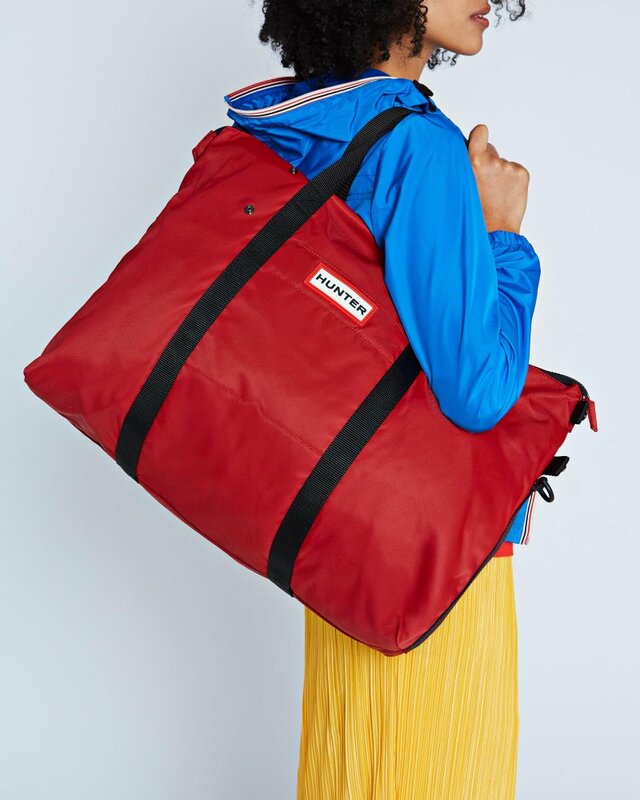 Set the mood for a getaway with the Original Nylon Weekender in bold red. This smart and spacious water-resistant bag offers a carry handle, shoulder strap, internal and external pockets and a total capacity of 41L. When not in use it packs into itself for simple storage - perfect for last minute adventures. Rated 2 out of 5 by Anne from Slipping of the shoulder I purchased this product as my older Hunter weekend bag was broken, the new weekend bag is not as good as the old model, it has no rubber on the handles like the old one, soo it keeps slipping of the shoulder and it seems not as durable as the old model. Rated 5 out of 5 by Dduke123 from The perfect travel bag Initially bought for weekends away and a great all rounder. I now use this as my everyday bag as looks cool when slouchy and not full up, a great alternative if don't want to carry a heavier leather bag. Lots of pockets for phone and keys etc. Took shoulder strap off as the grab handles were fine and fitted over my shoulder w a coat. Rated 5 out of 5 by JCDP from Right bag for me! I bought this bag last month and I couldn’t be more satisfied! I was not fan of the shape initially, but when you put stuff in, it transformed into the shape that I want.